BERLIN -- To bee, or not to bee? Bavarian environmentalists look set to get a referendum they wanted on their plan to save bees that's drawn fierce criticism from farmers. German news agency dpa on Wednesday quoted backers saying they've collected over a million signatures, about 10 per cent of the region's electorate and enough to force a fall vote. The plan put forward by a small environmental party and supported by campaign groups would set aside more space to protect imperiled insects and banish many pesticides from a third of Bavaria's agricultural land. The Bavarian Farmers Association says the proposal ignores conservation measures already undertaken and adding more could put farmers out of business. Gov. 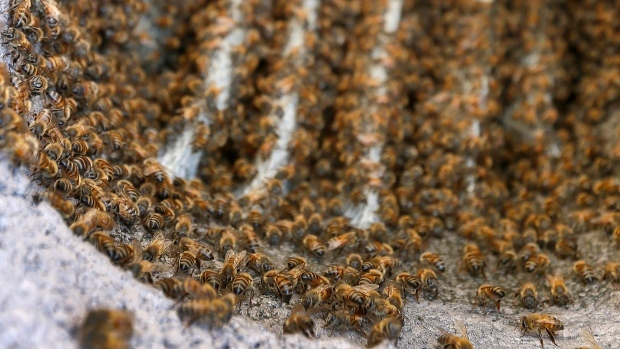 Markus Soeder has pledged to find a solution that will "save the bees and the farmers." Are bugs and oysters ethically OK for vegans to eat?